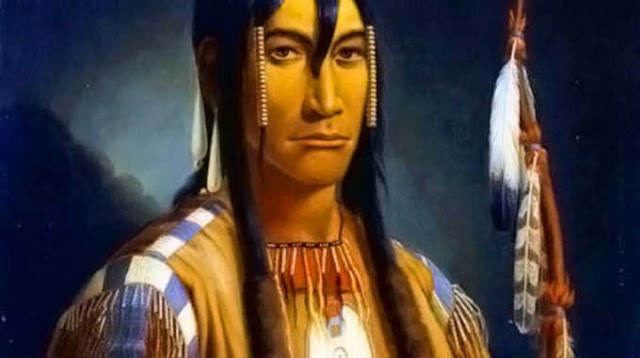 Is THIS Ancient Native American Prophecy FINALLY Coming TRUE?! This is how the “Rainbow Prophecy” begins, as retold by a woman of the Cree Indian nation of America over a century ago. 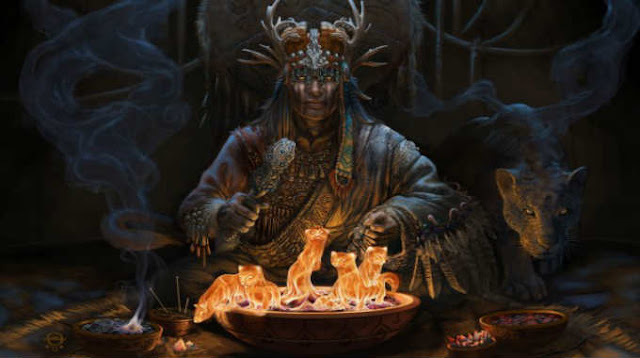 “The Rainbow Prophecy” as it has come to be known, refers to the keepers of the legends, rituals, and other myths that will be needed when the time comes to restore the health on Earth. Can this island they spoke of be the same Atlantis or Mu we desperately search for? What are these Original Teachings? Could it be that, with the connection to the internet, we are coming back together and sharing these Original Teachings with each other so that we “…can live and have peace on earth…”? And are we, or our children, the “great civilization” that will come about? “There will come a day when people of all races, colors, and creeds will put aside their differences. Many creatures thought to be extinct or mythical will resurface at this time; the great trees that perished will return almost overnight. All living things will flourish, drawing sustenance from the breast of our Mother, the Earth. In the time of the Seventh Fire, a New People would emerge. They would retrace their steps to find the wisdom that was left by the side of the trail long ago. Their steps would take them to the elders, who they would ask to guide them on their journey. If the New People remain strong in their quest, the sacred drum will again sound its voice. They will reteach the values and the knowledge that has been lost in time, demonstrating how to have wisdom and extra-perception, and how unity, harmony and love is the only way forward. “At this time, the light-skinned race will be given a choice between two roads. One road is the road of greed and technology without wisdom or respect for life. This road represents a rush to destruction. The other road is spirituality, a slower path that includes respect for all living things. If we choose the spiritual path, we can light yet another fire, an Eight Fire, and begin an extended period of Peace and healthy growth. 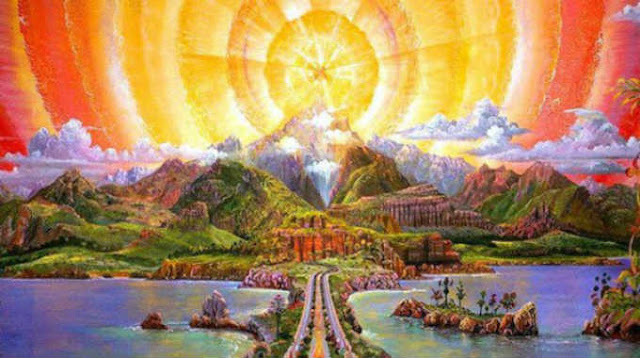 The great spiritual Teachers who walked the Earth and taught the basics of the truths of the Whirling Rainbow Prophecy will return and walk among us once more, sharing their power and understanding with all. We will learn how to see and hear in a sacred manner. Men and women will be equals in the way Creator intended them to be; all children will be safe anywhere they want to go. Elders will be respected and valued for their contributions to life. Their wisdom will be sought out. What do you think? 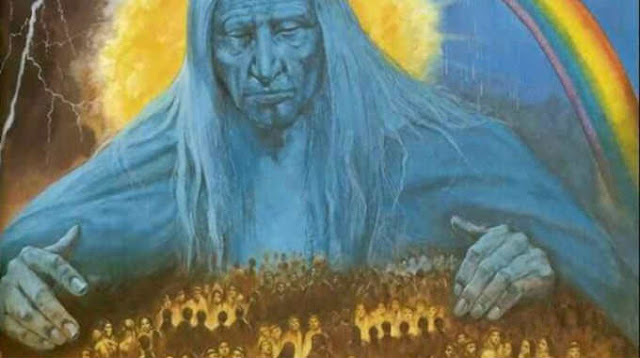 Is NOW the time this ancient Native American prophecy describes? Are we now on the legendary crossroads that will set up the destiny for the whole human race? Will we choose Technology, or Spirituality? Destruction or Ascension? Or maybe… something in between, a merging of the both? This post was republished from www.lifecoachcode.com You can find the original post here.